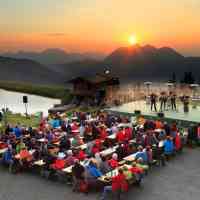 Experience Leogang in summer! If you only know the amazing holiday region in the Pinzgau through skiing, you’ve genuinely missed out. 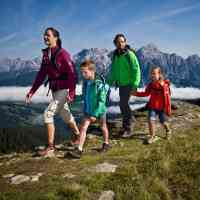 Amidst the hiking, climbing and running paradise, your family and sport hotel Bacher. 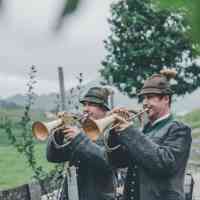 Tip: Experience numerous activities during your summer holidays for free with the Saalfelden Leogang Card! Whatever you long for in your hiking holiday in Austria’s mountains, you’ll certainly find it in the holiday region of Saalfelden Leogang. Families, connoisseur hikers, nature aficionados and experienced mountaineers can choose from an unexpectedly large range of hiking trails and fixed rope routes. 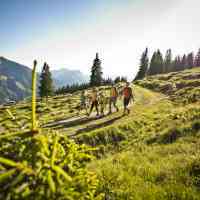 A network of over 400 km of perfectly signposted paths runs through the valley and mountain scenery around Leogang – and the fantastic hiking programme takes you into the centre of the action. Find countless routes for sport and alpine climbing of every difficulty level in the sports region of Saalfelden Leogang. Climbing on the natural rocks is equally fascinating and challenging – beginners, families and advanced climbers can all get set for it with a course in the climbing school. If the weather acts up, prove your climbing skills in one of the two perfectly equipped climbing halls with routes on the outer walls. Contrary to alpine climbing, you can rely on numerous constant safety clips on the fixed rope routes. These hooks, ladders, steps and a steel rope, all of which are installed permanently in the rock, allow you a secure grip. It goes without saying that you should wear your fixed rope route set at all times to keep your climbing experience safe. 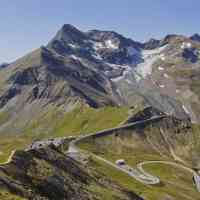 The great fixed rope route Leoganger Nord awaits you only a few minutes from the family and sport hotel Bacher. Running is so boring, isn’t it? Not with trail running in Saalfelden Leogang! Here you don’t go on your run-of-the-mill straightforward track but run in the diverse terrain as you wish. Run through forests and across meadows, conquer challenging ascents and relax on flat stages. Cross running, cross adventure or cross trail – what exactly is your thing? 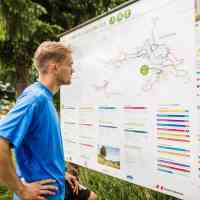 Choose from 21 routes with the interactive trail map. The province of Salzburg is such a rich destination that picking things you absolutely must experience during your summer holiday is really difficult. No matter whether you’re going on holiday alone, with your partner, or the entire family, there’s certainly no space for boredom. Museums and public pools, summer toboggan runs, zoos and wildlife parks, spectacular high alpine roads, high rope courses and archery courses, gorges, caves and castles are part of your holiday programme.